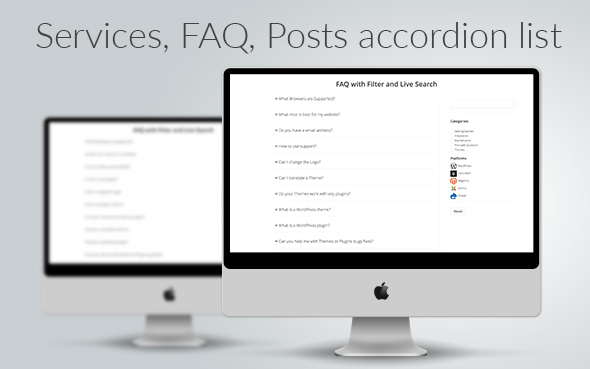 Live Search and Custom Fields(LSCF) – advanced search and filtering WordPress plugin. If you need a WordPress Filter Plugin, then Live Search and Custom Fields is a perfect choice that provides powerful live search and WooCommerce Product Filter functionality. It allows your users to filter and search the posts or your shop products according to their needs. 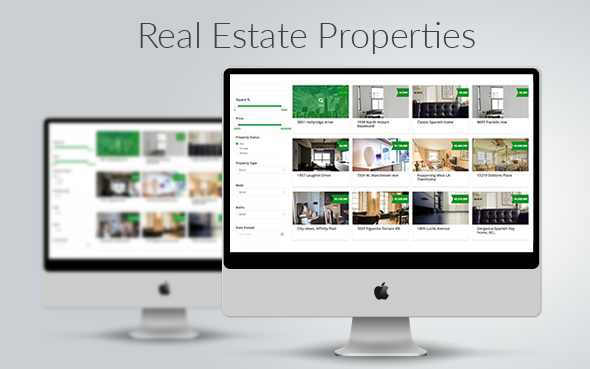 Built with modern technologies(AngularJS), you will find it highly customizable with many modern features. It was designed in a way to provide you the best performance on query filtering. LSCF 2.3 has arrived and it’s more powerful than ever. Ajax Search – extend the search using LSCF custom fields. Ajax search now can perform a search in any LSCF custom field. It can perform a search in multiple LSCF custom fields as well. LSCF 2.0 brings now a new WooCommerce filter template, check it out. Filter posts and custom posts type, filter WooCommerce products. Live and instant search – a real time search by post title, WooCommerce product name, post content, WooCommerce product detail and WooCommerce product SKU. 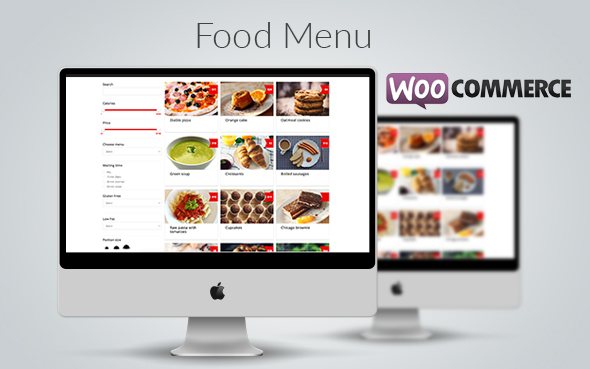 Filter by tags, categories, taxonomies, WooCommerce product attributes, WooCommerce product categories, WooCommerce product tags. 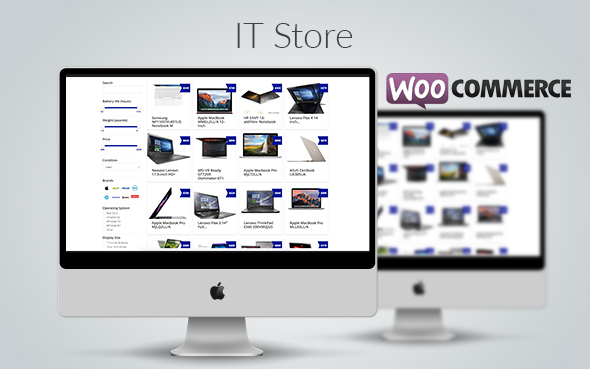 Filter by WooCommerce product stock status( in stock / out of stock). Filter by WooCommerce product stock quantity. Ajax Search – search in any LSCF custom fields. Search into multiple LSCF custom fields. Alternative filtering – disable empty categories, terms or custom fields when filtering. Taxonomies hierarchical filtering – displays the filters in a hierarchy order. Each subcategory item is displayed only when parent item is selected. URL history option: push all filters into URL when filtering. Customizable display mode of all the filter fields: as dropdowns, as checkbox, as radio button, as icon, as icon with text. Date interval filters for LSCF date custom field type. Option to populate the items from specified category/categories. Sort by: title, date, post ID, menu order, WooCommerce price, any LSCF custom field. Default order by: title, date, post ID, menu order, any LSCF custom field. Writing customization – change all the filter writing data from the plugin backend settings tab. Modern and advanced live Frontend Editor – a real-time/live filter customizer. Custom templates supported – you can create your own custom filter template from scratch using a child theme. Only HTML&CSS skills are required. The layout columns number control. Sidebar widgets – you can include additional widgets to your filter’s sidebar. It runs only one database query to display all custom fields (it doesn’t matter how many do you have). This improvement helps to avoid the database server workload on high-traffic websites. All filter queries are periodically cached – gives a very high performance to live search and posts filter. Programming skills are not required. Compatible with any custom post type from any theme. Custom Fields management – choose between custom fields that would show up only into filter page or only into post view page. No problem, we grant you 15 days of testing within you can ask a full refund. No questions asked. Enjoy! - update - Search into LSCF custom fields core logic update. - update - switch price currency according to WooCommerce settings. - issue fix - advanced WooCommerce grid template mobile layout fix. - update - Ajax Search - now can search in any LSCF custom fields. - issue fix - hierarchical fields - display all active hierarchical fields from url. - issue fix - when reseting sort by filters, avoid duplicate posts. - improvement - Range filters by LSCF custom fields performance improved. - update - LSCF filter templates supports now LSCF custom fields shortcodes. - issue fix - hierarchical filtering. - issue fix - Date Interval filtering fix. - Filter fields section: mobile responsive update. - option to display different style for custom fields and taxonomy (for example, if you have a checkbox custom field in dashboard you can easily display it as Dropdown/Radio button/Checkbox on your Filter/Search page. - Import/Export custom fields and custom posts. - Added demo data and functionality for import.